Where can you hide if you're running from yourself? In bunkers and strongholds across the world, people are celebrating. There's a vaccine to the virus that has ravaged the planet for years. But the celebrations won't last for long. The vaccine isn't working. The virus is evolving. Catarina - genehacker, reluctant warrior - must find the one person who can help her. A man who is guilty of unimaginable crimes. Time is ticking, she only has three days before shadowy gentech corporation Cartaxus will use lethal code to wipe out every person on the planet's surface. Kill the hosts, kill the virus. Forced to question everything she knows and everyone she trusts, Cat discovers that the biggest threat of all may be buried in her own mind. The end of the world is approaching. Can she stop it? Emily Suvada was born in Australia, where she went on to study mathematics and astrophysics. Her interest in science and tech never waned, particularly in genetic engineering and the question of what it means to be human. Emily's deepest passion has always been books, and though she always loved to write, she didn't truly find her voice until she combined this passion with her love of science. This Mortal Coil is Emily's first novel, and was crafted as the kind of book she loves most - fast-paced action with a healthy dose of futuristic technology and a horrifying virus. She now lives in the USA, in Portland, Oregon, with her husband. When not writing, she can be found hiking, cycling, and conducting chemistry experiments in her kitchen. If you didn’t already know, This Mortal Coil, Emily Suvada’s debut novel and the first book in this series, was one of my ABSOLUTE FAVOURITES of 2017. It was unique, fast-paced, and kept me at the edge of my seat throughout. I was absolutely awestruck and when I got the opportunity to read This Cruel Design, because after the previous book’s ending, I NEEDED THIS ONE. I read this book in large chunks, having to put it down time and again because HOLY GOD THIS BOOK IS INSANE, and in the best way possible. The stakes are higher, the betrayals are rampant, the returning memories are shocking, the twists are fast and unexpected and the coding is… borderline insane and almost unrealistic, but somehow, brings this dystopian novel together with precision. MY THOUGHTS: 1. EMILY SUVADA (and I distinctly remember saying this in my review of This Mortal Coil as well) is a PLOTTING GENIUS. She recently wrote in her newsletter that she writes the last line of each of her chapters first and works backward from there, all for the SHOCK VALUE AND, YOU KNOW WHAT? I SEE THAT. Almost every chapter ends on such a note that you’re gasping in shock and grasping for more. 2. I LOVED re-meeting Cat, Leoben, Cole and even Anna, whom we learn more about in These Precious Scars. As we learnt the characters more, going deeper into the trauma of their past, the truth of what really happened to Jun Bei and how everything that happened affects their actions now. There was so much growth – or rather, revealing of – in all of the characters and I LOVED IT SO MUCH. 3. I cannot talk about how much that ending made me want to fling the book away and scream in agony at the year of waiting I have to do to get answers (I didn’t, obviously, I never hurt my precious book babies) but that cliff-hanger was INSANE and I don’t know what to do with myself. 4. Honestly, this book was AMAZING. There was never a single moment that I was bored, but always ALWAYS at the edge of my seat. The new characters, Mato and Regina in particular were so well fleshed out and I love that in ADDITION to great pacing and plot, the characters were so real. Would I recommend this book? YES. DEFINITELY. 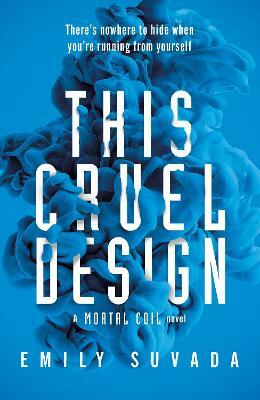 Pick up This Mortal Coil and then This Cruel Design because they are probably the among the BEST series’ I’ve read in the last two years and YOU WILL FALL IN LOVE.